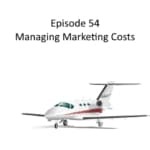 We all run into cash flow situations and crunches – in this podcast, we talk about how to manage aviation marketing expenses with a minimum impact to your sales pipeline. 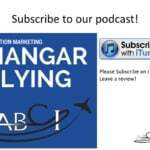 Paula Williams: Welcome to Aviation Marketing Hangar Flying episode number 54, ManagingAviation Marketing Expenses. Paula Williams: So I’m Paula Williams. 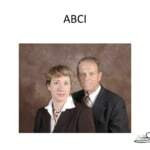 Paula Williams: And we are ABCI and ABCI’s mission is. John Williams: To help you ladies and gents out there sell more marketing, [LAUGH] yeah marketing, to sell more products and services in the aviation. Paula Williams: Absolutely to use marketing to sell more products and services. John Williams: Yeah exactly right. 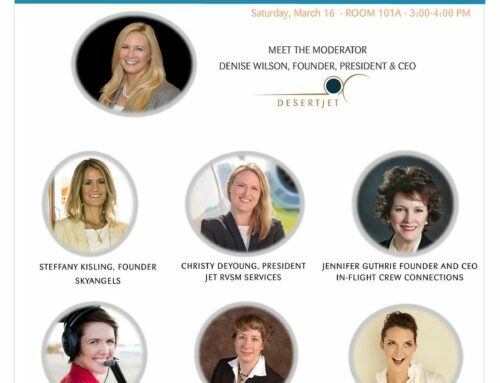 Paula Williams: In the aviation world right exactly. Okay so you will probably have questions and comments and other kinds of things about this episode. 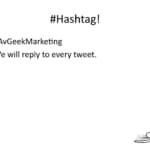 You can use the hashtag marketing so we can find those more easily and we will reply to every tweet or They spoke up data or anything else. I find this you have that hashtag under that makes it easier for us to find or you can just reply on our website, reply to any of our email or just give us a call either way. So we’re always happy to hear from you guys because you’re what this is about, right? 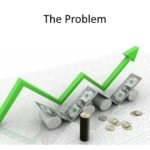 Okay, so the problem a lot of folks run into, in fact almost everybody, runs into some ups and downs in their budget, their cash flow, their situation as we go through days weeks months and years. 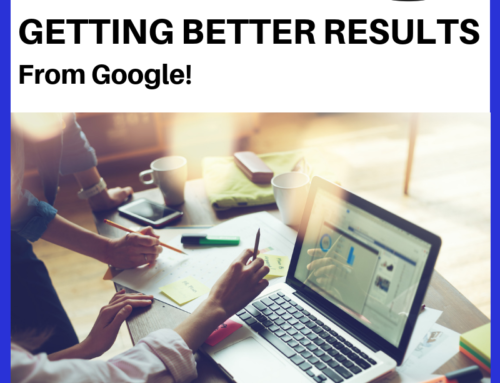 And that can be Minimized by good planning, but just about everybody will run into a snag every now and then where they need to make some adjustments to their marketing situation. John Williams: [LAUGH] The cash flow version? Yes. Paula Williams: [LAUGH] And John actually manages our cash flow and marketing expenses does a fantastic job of moving around. Dollars and numbers on a spreadsheet to make things work. And sometimes we have to be a little resourceful with the way that we make things work. Like every other company, we want to to grow in a way that’s smart. But if we buy a printer or something along those lines, or make a major investment It does have an impact on how much money we can spend on other things. So in an ideal world we would have a list of marketing expenses and a marketing budget that is completely inviolate and never gets touched, but [LAUGH] who lives in an ideal world, right? Paula Williams: Okay, so what we don’t want to have happen is to throw the plan out the window. Right? Paula Williams: So if you throw the plan out the window, then you end up doing what we call random acts of marketing, which is basically either not marketing at all until you run out of customers, and then doing something desperate like spending too much money on an av Aviation magazine ad that may not hit the right demographics. Or doing all short term marketing activities like we talked about in a previous podcast, and not having any of our medium in long term marketing objectives being met, and that we’re just taking the can down the road. I know our government did a heck of a job with this as far as budgets and running out of money and then kicking the can down the road, we don’t want to be like that, right? We want to be a little more responsible, which is not hard to do. John Williams: No we can’t print our own money so therefore. Paula Williams: Yeah we can’t print our own money and just solve the problem that way or I guess it’s illegal to do that in this country printing your own money. John Williams: Except for the government. 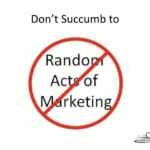 Paula Williams: Exactly, so we don’t want to succumb to random acts of marketing. We want to make sure that we are not doing things that are going to hurt us in the long term as we respond to the short term cash crisis or whatever we’ve got going on looming on our horizon, right. Okay, so marketing as are most things are kind of a balance between time and money. So if we have more money and less time, we can always outsource, bits and pieces, we can do automate things. We can do a lot of things that are really effective by getting other people to do stuff or mechanizing things or automating things and things like that. If we don’t have a lot of time, if we don’t have a lot of money, then. We spend more time doing these things. And we do a lot of individual things, making individual connections and things like that. We spend more time on sales activities. We spend more time doing things by hand. So almost everything that we do in marketing, there’s an equivalent that we can do less expensively by hand. 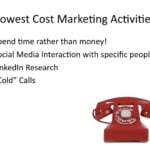 Maybe less efficiently by hand, but it’s a time versus money equation, so lower cost marketing activities almost always involve spending time rather than money, so some examples of that would like social media interaction with specific people so maybe we can’t buy an ad on social media like we want to. But what we need to do is go hunt and pack what are our top ten most wanted custom, or most wanted companies that we want to do business with. Can we go find the people that work there? Can we make connections with the people that work there? Can we pick up a phone and call those people, can we send them a letter? A very customized letter. Can we send them an email? Can we connect with them on social media? And we can do that kind of research when we’ve got time but no money. And this are not ineffective things LinkedIn is probably the best way to do this. 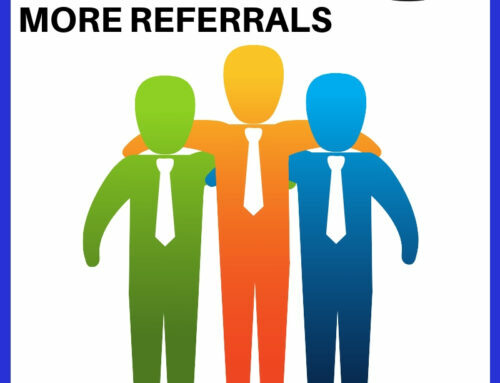 You can look for the company that you want to do business with and see who you’re connected with there. Ask for introductions to the right person and then make we never want to do a cold call so we always put cold in quotation marks right. A cold cal, the first time they’ve ever heard from us. But it’s not cold in the sense that we don’t know anything about them. Because we’ve done a lot of research and we’ve spent a lot of time before we make that call, right. John Williams: Actually no. 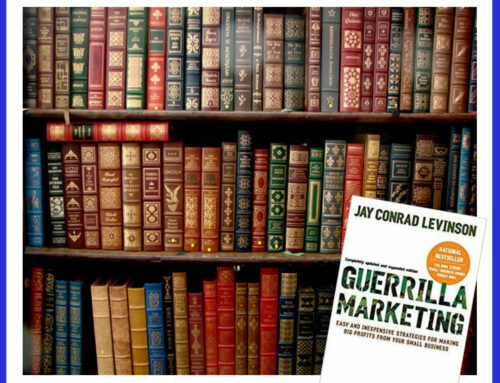 Research is still a cold call because unless you’ve actually reached out and custom Mm-hm. It’s cold. Paula Williams: Yeah, exactly, it’s the first time you talked to that person. John Williams: Or communicated with. Paula Williams: Exactly, so you want to use our sales call checklist. You can download that and use that as a means to do your research to plan out that call and make sure it’s going to be effective even if it’s the first time that you’ve talked to this person. Making your odds a little bit better. So those are things that cost almost nothing but can be done to Make some sales so that you can afford more marketing right? Okay. Another thing you can do is use digital planning to prevent yourself from getting into a situation where your cash flow is not what you want it to be. A lot of folks charter companies have Events that are a big deal for them. Maybe you’re in an area where there’s a lot of golf or particular sport that requires charter so those are your busy seasons and then you can plan around your less busy seasons. 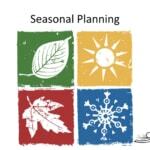 To even out that cash flow and make sure that you’re doing your marketing in a way that makes sense for the seasonal variations in your business. And you can do that with a marketing calendar. 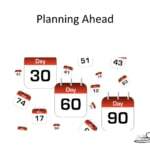 Another thing you can do is plan ahead. You can get a lot better rates from magazines, and from subscriptions, and from consulting, and from a lot of other things, if you plan things farther in advance. And you don’t have to pay for expediting fees or anything else. So if you’re always in crisis mode you end up spending more money than you would otherwise which is kind of a paradox right John? John Williams: And then you worry more. Stress levels go up. Paula Williams: And when you’re under stress you make worse decisions. So all of that ends up to Being bad for your budget, [LAUGH] . Paula Williams: And you end up, you know spending a lot of money on printed materials with the typo because you don’t have the time to do proper planning. And you know content is not as high quality as it should be because you’re not spending the time with the review cycle. Some things like that, so the more time you can get things. The less money you spend. 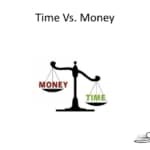 Once again it’s kind of that balance there between time and money. Okay so another thing you can do to mitigate a lot of the cash flow situations is And this is going to be a little controversial. If you thought, as you’re growing your business, about hiring more people on staff, you might want to think, you know, we hire slow. And prior past. [LAUGH] At ABCI. Simply because we want to make sure if we’re going to hire someone that we have got it planned out, that we are never going to run into a situation where it’s going to put us under stress to have that person on payroll. So if there’s any way where we can avoid hiring a person By outsourcing, by automating, by doing other things with the same quality, we absolutely will. There’s some things that you have to hire people for. 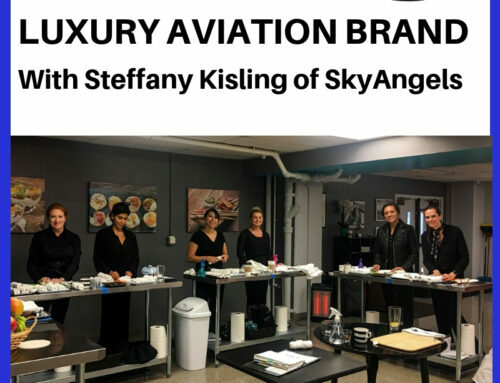 There’s things like specialized product knowledge, the long term commitment to your company, the absolute control over the quality of the product. You know you’ve got a fixed salary or a draw against commission, you’ve got a little more flexibility there. You can hire for individual skills and you can hire for individual experience, you know, people that know your business really well. So those are kind of the advantages of having an employee on staff. But the downside of having an employee on staff is that it puts you in a cashflow situation. That has a lot less flexibility than if you hire someone like ABCI, where you can do three-month projects, as an example, or if you run into a cashflow situation, we can adjust, up or down, depending on the nature of the situation. We’re not on your payroll, we’re not taking up space in your building, and we don’t have a fixed. Cost, that were depending on you, for that, other source of revenue. And then you also get access to a lot of other software and services that may be outside of this close up of your own employees. So if you’re thinking about the possibility of Do you want somebody on your team versus do you want to just get some work done. Think outside the box or think outside your organization about how you can get that done without making a permanent adjustment to your expenses, right. Paula Williams: There is a lot of hidden cost to hiring an employee. John Williams: You think? [LAUGH] Yep and it’s actually if you have turnover it’s going to cost you six months salary of that person when they leave just to get somebody back up to that point and that’s if everything works right. Paula Williams: Exactly. It can really have a lot of hidden costs, and then you also have to buy that person a computer, get that person training, do a lot of things that you may not be planning on, versus with a consultant, you have a fixed cost. You get a job done for a certain amount of money. Paula Williams: Exactly. There is on our side and also all of the training and everything else around our side in terms of staying up to speed on software and making sure people have the right equipment and all of that stuff is our problem, not yours. So that’s a great way to think about your costs in a way that That can give you a lot more flexibility from one month to the next. John Williams: [INAUDIBLE] we got an automated marking automation in hand. It’s working for lots of folks and they got all kinds of things like that. Paula Williams: Exactly. Right. So that’s another way that you can manage your ups and downs in your cashflow is to think about outsourcing versus employees. 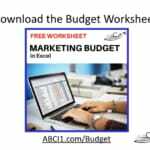 So download our budget spreadsheet it’s at abci1.com/budget. And it’s got a lot of stuff in there that can help you plan So that you’re not going to run into those peaks and valleys quite so much, or at least you’ll have a good starting place to do your adjusting. John does a lot of adjusting. John Williams: Just playing with numbers. 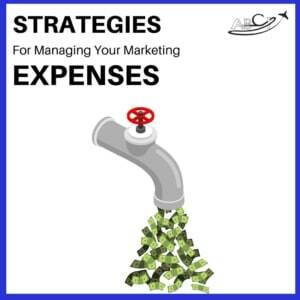 Need some help getting started with a marketing budget? 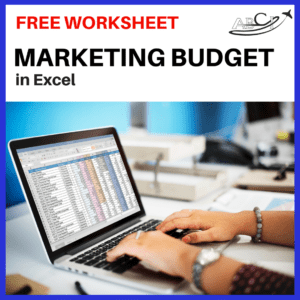 This Excel spreadsheet includes a list of marketing expenses common to aviation companies – customize it and make it your own! Paula Williams: [LAUGH] Just playing with numbers, right? Exactly. 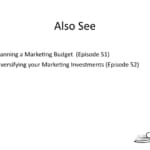 So you also want to see The podcast on planning the marketing budget. That was episode 51. Diversifying your marketing investments, that’s episode 52. That really helps you kind of manage the ups and downs in your pipelines so that you have a fairly steady flow of customers. Paula Williams: We have it a little bit worse than a lot of industries but we also have it better in some ways. So, there’s a lot of advantages to being in an industry that we love. So we put up with some of the Some of the, what do you call it, turbulence? John Williams: Ups and downs. Paula Williams: Ups and downs. All right. 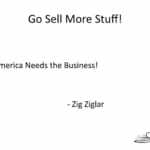 John Williams: So Zig Ziglar once said, go sell more stuff, American is the business, is still true today. Paula Williams: Absolutely and subscribe to our podcast on iTunes or Google Play and please do leave us a rating and let us know what you think. What you’d like to hear more of less of and so on. John Williams: We’ll see you next time. Paula Williams: Have a great week.